The AAA Four Diamond Hilton Milwaukee City Center’s distinctive Art Deco architecture has graced the Milwaukee skyline for nearly 85 years. 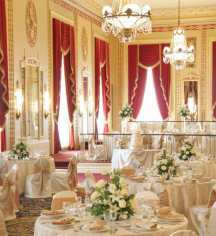 Located in the heart of Milwaukee, this historic hotel has a storied tradition of hospitality and premier service. Originally opened in 1928, the property later underwent renovations in 1972 and again in 1994, restoring the building to its original grandeur. In addition to the elegant and personalized service still experienced at the hotel, guests also have the added benefit of regal historic ballrooms, luxuriously appointed guestrooms, and two restaurants and a pub, as well as the 20,000-square-foot Paradise Landing™ indoor waterpark. Offering 729 spacious and comfortable guestrooms, as well as impeccable service, the Hilton Milwaukee City Center is the perfect location for guests to enjoy private skywalk access to the Wisconsin Center – a large exhibition and event venue – making the hotel a popular choice for business travelers. 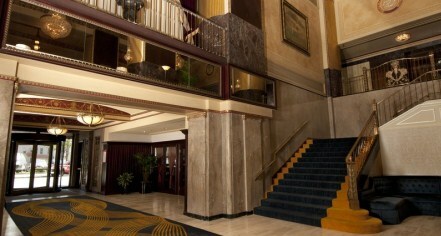 The Hilton Milwaukee City Center is a premier historic Wisconsin lodging choice for discerning travelers. Click here to view a video about Hilton Milwaukee City Center. Hilton Milwaukee City Center, a member of Historic Hotels Worldwide since 2011, dates back to 1928.